Kills ants outside before they get inside. The patented design keeps the liquid bait from drying out and protects it from the elements. 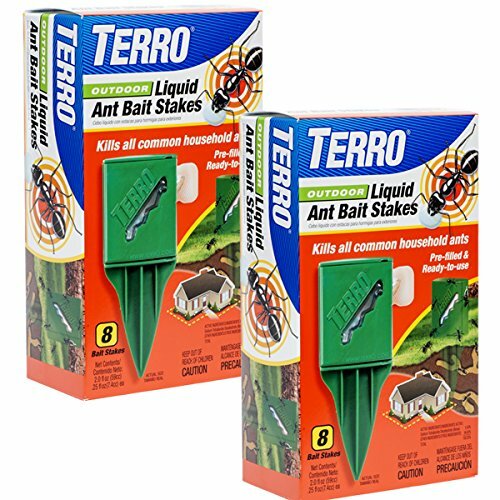 Terro outdoor liquid Ant bait stakes feature eight durable stakesper box filled for a total of 2 oz of our liquid Ant bait. 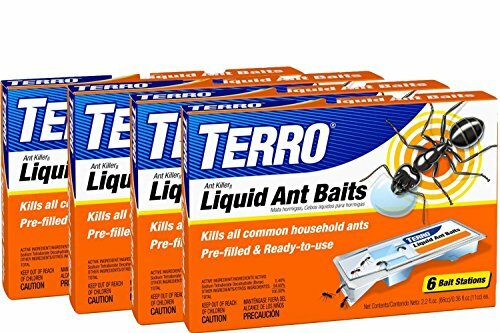 The stakes attract & kill all common household ants, including Argentine, ghost, little black, acrobat, pavement, odorous house, crazy, cornfield & other sweet-eating ants. 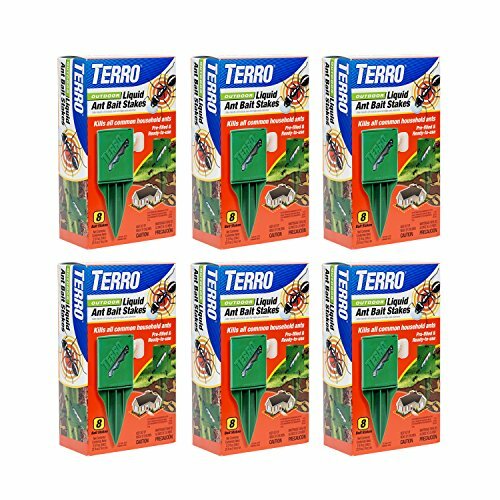 To use, simply place the Terro outdoor liquid Ant bait stakes in areas where ants have been observed. The stakes are specifically formulated to allow worker ants to consume the bait & survive long enough to carry the liquid back to the nest & deliver a dose to the rest of the colony. The key to effective control is to Monitor the placements & ensure there is always a fresh supply of bait. When you first place the Ant stakes in the ground, you're going to see ants come in large numbers. Don't worry, this is perfectly normal. 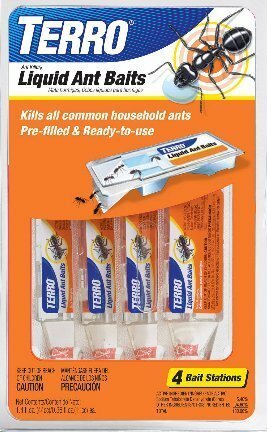 The product is specifically formulated to allow worker ants to consume the product & survive long enough to carry the liquid back to the nest & deliver a dose to the rest of the colony. Depending on the size of the infestation, Complete control may takeup to two weeks. 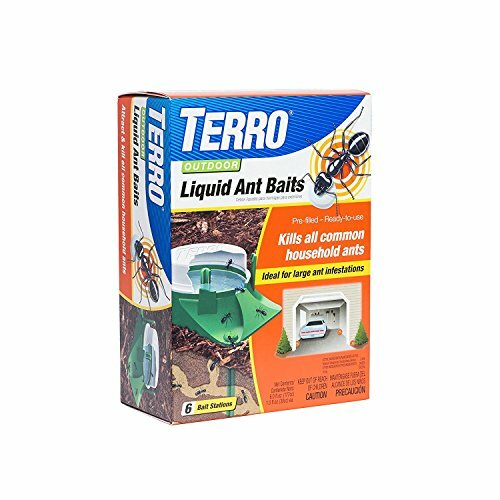 Attract and kill the ants you see, as well as the ants you don’t see with TERRO Liquid Ant Killer. The liquid, which contains borax, is specifically designed to allow worker ants to consume the product, survive long enough to carry the liquid back to the nest. Ants consume the liquid ant bait and return to the nest where they pass it around to the rest of the colony. 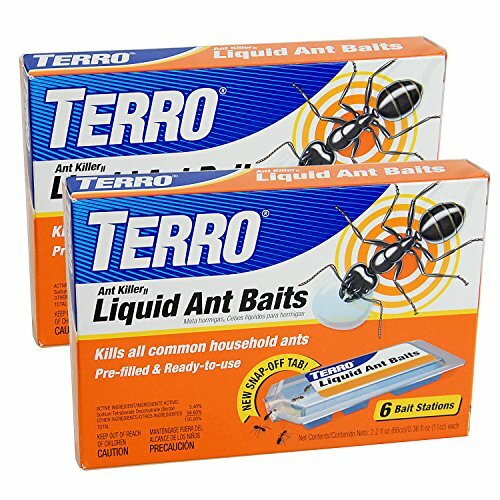 The active ingredient in the bait slowly interferes with the ants’ digestive systems, ultimately killing them. 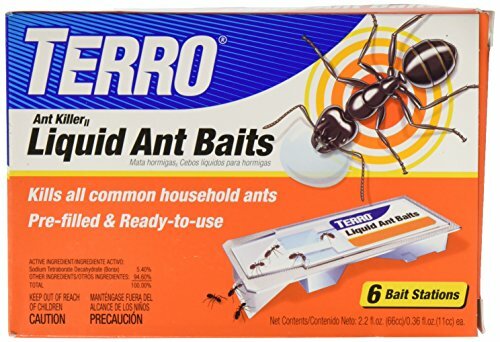 Since this is a bait product, you will initially see more ants as they are attracted to the liquid – but don’t worry, this is a good thing. After the bait is consumed, insect populations will begin to decline. Complete control may take up to two weeks. 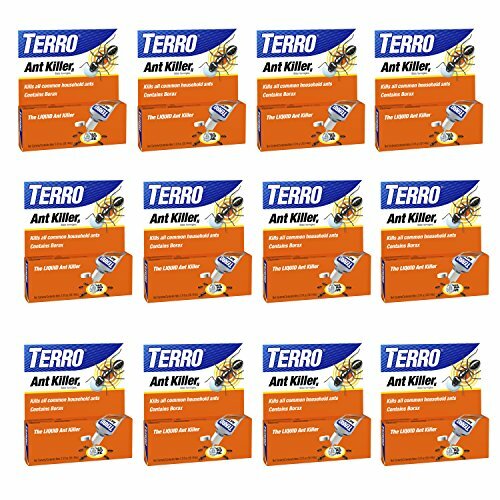 The 2 oz bottle offers plenty of ant-killing power to eliminate your infestation. 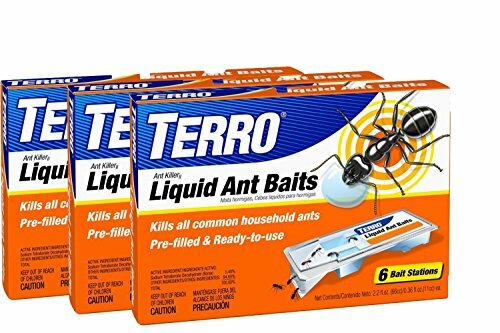 For your convenience, TERRO Liquid Ant Killer is easy to use. Simply apply drops of the liquid ant killer directly from the bottle onto the smooth side of the cardboard tiles included on the packaging. Then place indoors on a flat surface near ant trails and other signs of ant activity. The more bait placements, the better. Be sure to leave the ant killer undisturbed while the ants are actively feeding on it. Compare prices on Terro Liquid Ant Baits at ShopPlanetUp.com – use promo codes and coupons for best offers and deals. We work hard to get you amazing deals and collect all available offers online and represent it in one place for the customers. Now our visitors can leverage benefits of big brands and heavy discounts available for that day and for famous brands.